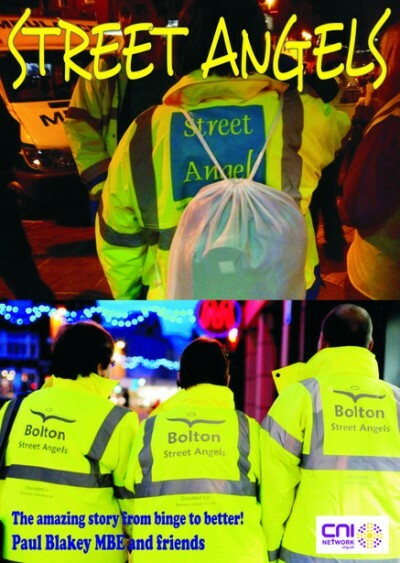 Belper’s Street Angels project is featured in a new book about how Street Angels have been making a difference up and down the country. The e-book is written by Paul Blakey MBE who started up Street Angels and who came to Belper to help launch our own project in June 2012. It is available for download on Amazon Kindle and can also be downloaded to any device as a PDF. A minimum donation of £5 is suggested for the book, proceeds of which are going towards Street Angels projects nationwide. You can donate here. 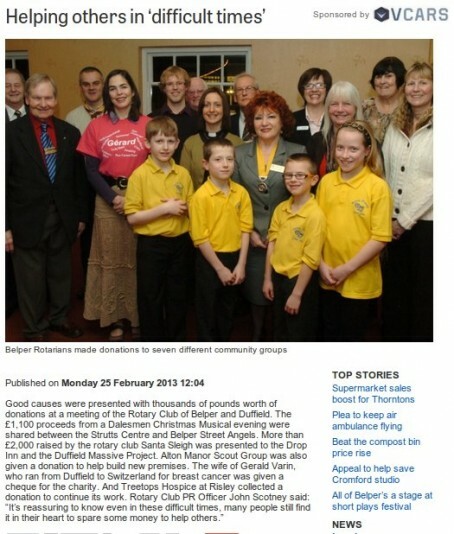 The project was originally launched by Hope for Belper last year and celebrated its first anniversary in June. Find out more about the project and how to volunteer here. A commemorative T-shirt recording all the people who have served as Street Angels over the past year. The Street Angels are approaching their annual commissioning and first birthday party, which will happen on June 7th, 6:45 for 7pm. Our birthday party and annual commissioning will be held at St John’s chapel, you are very welcome. We will be thanking all those who have made the project possible and celebrating our journey so far as a project. On the 24th May we met our new Belper Street Angel recruits for training and a social, so that questions could be asked and experience gained. We continue to cover the estates and the town alternately so that Angels can choose for their once-monthly round either the 7pm-11pm estates round, or the 10pm until 2am town round. 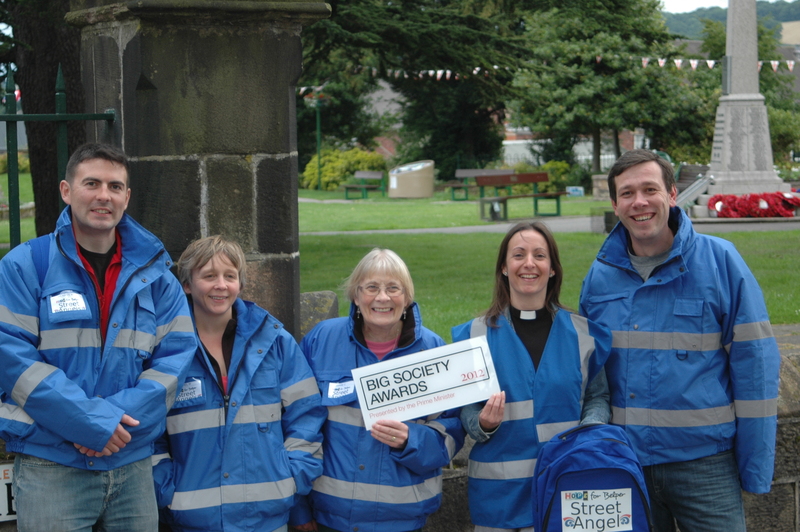 Belper Street Angels is officially up and running following a successful launch event at St John’s Chapel, Belper, last Friday. Paul Blakey, the national founder of Street Angels, led a short commissioning service for the 19 volunteers who have so far joined the project and asked for God’s blessing on their work. Hope for Belper co-ordinator Gareth Greenwood spoke about how the Street Angels project had evolved from Hope’s actitvities over the past four and a half years while project co-ordinator Rachel Marszalek gave a reading from Matthew 25, 35-40. The service, which was attended by church leaders from across the town as well as Hope representatives and Street Angels volunteers, was followed by Buck’s Fizz (the drink, not the band!) and nibbles. Afterwards, Paul joined the by-now-regular Friday night ‘patrol’ along with members of the Belper team. They are pictured outside the Memorial Gardens, Paul on the right.